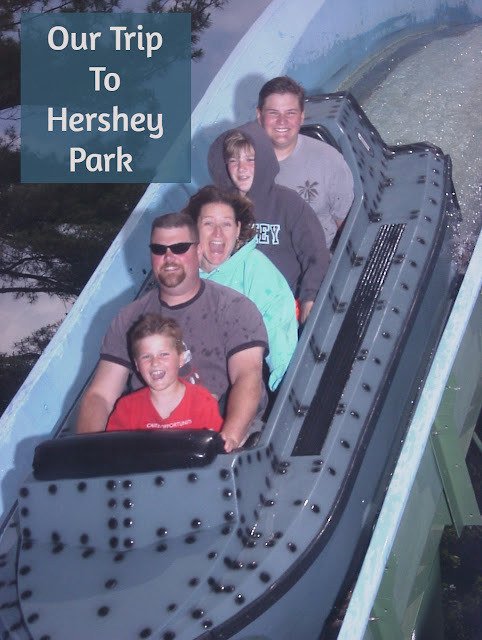 We spent a day and a half at Hershey park this week and we had the best time! We hadn't been since the boys were quite little and it was so neat to get to be back there with them now that they're all big enough to ride all the rides. We knew we wanted to go in early June since the crowds were still pretty minimal and they were offering a "everyone pays the child price" discount (which was $19 off per person!). We had so much fun, the weather was just perfect; not too hot and not too cold. We did elect to skip the water park but we saw everything else and it was so nice to know that we could all ride whatever we wanted. And boy, did we ever ride a lot! I was pretty busy enjoying myself and riding with the family so I only took a few photos but I think you'll enjoy them. With 5 people in our family we almost always need someone to ride alone. This used to be a huge issue for us when visiting amusement parks but the boys often volunteered to ride alone this trip. We caught the seal & sea lion show learning more about the animals that Hershey keeps on site. Despite my fear of heights the boys all dragged me onto the huge Ferris Wheel. We could see so far away and enjoyed this birds eye view of the park. Our second day in the park we rode a lot of roller coasters; re- riding a few favorites like the Super Duper Looper, the trailblazer, the wild mouse, and the comet. Ian and I rode the Great Bear and my husband and Alec rode Skyrush. We went on the flume for a family photo and checked out the monorail. Then we battled it out at the Reece's Cup Challenge. By lunchtime we were pretty much done in the park. My husband wanted some BBQ chicken for lunch and we found this fun dinner show going on. Alec and Evan took one last ride on the Trailblazer and we were officially finished in the park. Have you ever been to Hershey? What's your favorite amusement park ride? It really was a perfect trip; no one cried or anything. They really were all smiles. So fun! Thank you for linking up with myself, Heather and Lindsay today! I went to Hershey Park many many years ago and I remember it being a lot of fun. My husband and I have talked about taking our girls there in the next couple of years! It was a lot of fun and so neat to see how different it was with older kids now. I remember that Ferris wheel! Such a fun place to visit! I hate that Ferris wheel but they do have great views. I sure will! Thank you. This brings back memories of our trip to Hershey Park when our son was little. Such a fun place! 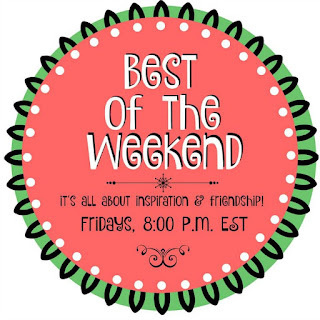 Thanks for sharing at Best of the Weekend! It really is a lot of fun. I think we might have to go back.. just one more time. What fun! I am terrified of heights so I don't know if you could get me on that ferris wheel but I am sure my boys would love it! 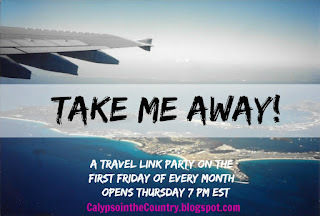 Thanks again for linking up to Take Me Away for July. I actually read your post earlier in the month but realized I still had to come back to comment. Enjoy your weekend! I'm not a huge fan of heights either and did panic a bit when we had to stop at the top to let on more people.